Demographically and sociologically, Indonesian people are highly at risk of conflicts, precisely because of their division in groups based on the cultural identity. As some authors pointed out, such differences could induce deep psychological distrust or enmity [1Huntington SP. The clash of civilizations and the remaking of world order 2011. ], and inhibit cultural communication that in turn may lead to international misunderstanding and violence [2Comor E. The Role of communication in global civil society: Forces, processes, prospects. Int Stud Q 45(3): 389-408. [http://dx.doi.org/10.1111/0020-8833.00206] ]. Some inter-group conflicts in Indonesia are some of the examples. The conflict between the Javanese (native people) and the Chinese in Surakarta, Central Java is a violent conflict that has a long history and potential to pop up again. There were about ten big violent conflicts between Javanese and Chinese in Surakarta: Chaos in Pecinan (30 June 1745), Ngawi incident (23 September 1825), incidents prior to the establishment of Syarekat Islam (1911), Mangkunegaran soldiers vs. Chinese (December 1912), 615 cases of robbery and 4977 cases of animal theft on Chinese property (1905-1913), Chaos in Jatinom (1947-1948), incidents after “G 30 S/PKI” (October 1965), shops' destruction in Coyudan and Nonongan (6 November, 1966), opposition to Chinese (20 November, 1980), and Grieving May (14 May, 1998) that was the biggest riot in Surakarta’s social history [3Taufik T. Problems of relationships among ethnic groups in Pluralist Communities. J Hum 2006; 8]. The potential for conflict still continues including verbal conflicts between Javanese and Chinese children where they insult each other for their ethnicity and other social problems. If this continues, the ethnic conflict will probably re-arise in Surakarta. Those incidents clearly indicate that ethnic groups and cultural diversity must be seriously taken into account as they may be the reason behind the conflict. The conflict should be managed and may become an important culture heritage as it created a social distance between the Javanese and Chinese. From the perspective of intergroup relations, the interaction between Javanese and Chinese in Surakarta has not really changed. As a minority group, the Chinese still like to live in their own world and create borders with the Javanese. Even though the Javanese and Chinese seem to live in one place, they actually live in different places [4Taufik T. Patterns of social interaction of Javanese and Chinese in Surakarta 2007.]. Therefore, there is a social segregation between the Javanese, as local people, and the Chinese in Surakarta society. This segregation appears virtually in all sectors of life. For instance, the Chinese prefer sending their children to private schools which are dominated by Chinese [5Taufik T. Harmony in difference: Inter-ethnic harmony model in a pluralistic community. Anima Indones Psychol J 2012; 28.]. Besides, many Chinese consider their own levels superior to the Javanese. Such views obviously affect their relationships with the Javanese. However, some schools realized the importance of peace values to build positive communication between Javanese and Chinese after “Gray May 1998”. The most significant influence was shown by students of pluralistic schools where Chinese and Javanese students interacted on a regular basis with each one in a community. The Surakarta Society United (PMS) also plays a significant role in building togetherness between two ethnic groups including organization of collaborative activities (i.e., Javanese and Chinese) to reduce the perceived difference. Most of these activities are related to art and sport such as singing keroncong and campursari songs, gamelan music, wayang orang, badminton, chess, wushu, barongsai, and yang khim (siter Tiongkok). Interaction in daily activities promote relationships by which emotional and cognitive understanding; in other words, empathy can grow. According to the contact hypothesis, an intergroup contact can be effective in reducing negative stereotypes and mutual prejudice at least when certain conditions are met [6Maoz I. Power relations in intergroup encounters: A case study of Jewish–Arab encounters in Israel. Int J Intercult Relat 2000; 24(2): 259-77. [http://dx.doi.org/10.1016/S0147-1767(99)00035-8] ]. Empathy of ethnic groups can decrease prejudice when directed to share identity with different ethnic groups [7Stephan WG, Finlay K. The role of empathy in improving intergroup relations. J Soc Issues 1999; 55(4): 729-43. [http://dx.doi.org/10.1111/0022-4537.00144] ]. Stephan & Finlay found that empathy had a number of worthwhile effects on the individual behavior; however low empathy implicated to a number of negative effects primarily on relationships of ethnic groups. The concept of ethnocultural empathy is relatively new in the social psychology. Different researchers studied this term in different ways. Wang et al. [8Wang Y-W, Davidson MM, Yakushko OF, Savoy HB, Tan JA, Bleier JK. The scale of ethnocultural empathy: Development, validation, and reliability. J Couns Psychol 2003; 50(2): 221-34. [http://dx.doi.org/10.1037/0022-0167.50.2.221] ] asserted that the terminology to define this construct was not solidified. Terms such as cross-cultural empathy [9Dyche L, Zayas LH. Cross-cultural empathy and training the contemporary psychotherapist. Clin Soc Work J 2001; 29(3): 245-58. [http://dx.doi.org/10.1023/A:1010407728614] ], empathetic multicultural awareness [10Junn EN, Morton KR, Yee I. The “Gibberish” exercise: Facilitating empathetic multicultural awareness. J Instr Psychol 1995; 22(4)], cultural role-taking [11Scott NE, Borodovsky LG. Effective use of cultural role taking. Prof Psychol Res Pr 1990; 21(3): 167-70. [http://dx.doi.org/10.1037/0735-7028.21.3.167] ], ethnic perspective-taking [12Quintana SM. A model of ethnic perspective-taking ability applied to Mexican-American children and youth. Int J Intercult Relat 1994; 18(4): 419-48. [http://dx.doi.org/10.1016/0147-1767(94)90016-7] ], ethnotherapeutic empathy [13Parson ER. Ethnotherapeutic empathy (EthE)-Part I: Definition, theory, and process. J Contemp Psychother 1993; 23(1): 5-18. [http://dx.doi.org/10.1007/BF00945919] ], cultural empathy [14Ridley CR, Lingle DW. Cultural empathy in multicultural counseling: A multidimensional process model. Couns across Cult 1996.] have been interchangeably used to indicate the empathy in cross cultural settings. The latest theory of empathy in cultural settings was developed by Wang et al. [8Wang Y-W, Davidson MM, Yakushko OF, Savoy HB, Tan JA, Bleier JK. The scale of ethnocultural empathy: Development, validation, and reliability. J Couns Psychol 2003; 50(2): 221-34. [http://dx.doi.org/10.1037/0022-0167.50.2.221] ] and was called “Ethnocultural Empathy.” The Ethnocultural Empathy (EE) is developed on the theory of general and culturally specific empathy. Ethnocultural empathy is defined as a learned ability and a personal trait which is related to certain personality traits on which people of any race, ethnicity, or culture vary [8Wang Y-W, Davidson MM, Yakushko OF, Savoy HB, Tan JA, Bleier JK. The scale of ethnocultural empathy: Development, validation, and reliability. J Couns Psychol 2003; 50(2): 221-34. [http://dx.doi.org/10.1037/0022-0167.50.2.221] ]. The term, Ethnocultural, stems from two words, ethnicity and culture. According to Bercovitch and DeRouen [15Bercovitch J, Derouen K. Mediation in internationalized ethnic conflicts: Assessing the determinants of a successful process. Armed Forces Soc 2004; 30(2): 147-70. [http://dx.doi.org/10.1177/0095327X0403000202] ], ethnicity refers to a characteristic by which groups are distinguished and which may ultimately lead to conflict. As described in a research by Christensen [16Christensen T. Systematics association special volume.The chromophyte algae: Problems and perspectives Systematic association special volume 1989. ], culture includes shared similarity about values in society, social norms, individual roles in the social context, and individual ways of dealing with social and political realities that flourish in society. Wang et al. [8Wang Y-W, Davidson MM, Yakushko OF, Savoy HB, Tan JA, Bleier JK. The scale of ethnocultural empathy: Development, validation, and reliability. J Couns Psychol 2003; 50(2): 221-34. [http://dx.doi.org/10.1037/0022-0167.50.2.221] ] combined both words in a term, ethnocultural. In general, the EE structure consists of three components: intellectual empathy, emphatic emotions, and the communication of two [14Ridley CR, Lingle DW. Cultural empathy in multicultural counseling: A multidimensional process model. Couns across Cult 1996.]. Wang et al. [8Wang Y-W, Davidson MM, Yakushko OF, Savoy HB, Tan JA, Bleier JK. The scale of ethnocultural empathy: Development, validation, and reliability. J Couns Psychol 2003; 50(2): 221-34. [http://dx.doi.org/10.1037/0022-0167.50.2.221] ] specifies the three components as follows. Intellectual empathy referring to a person's competence to comprehend thoughts and feelings of a racially or ethnically different person. It is also the ability to perceive the world as the other person does. In other words, the intellectual empathy is racial or ethnic perspective-taking. Empathic emotion is the ability to give attention to feelings of another person or people from another ethnocultural group to such an extent that one is able to feel the other’s emotional condition from the point of view of that person’s racial or ethnic culture. In addition, it refers to a person’s emotional response to the emotional display of a person or people from another ethnocultural group. Finally, communicative empathy component is the expression of ethnocultural empathic thoughts (intellectual empathy) and feelings (empathic emotions) towards the members of ethnic groups which are different from one’s own feelings. This component can be expressed through words or actions. Stewart & Shamdasani [17Stewart DW, Shamdasani PM. Focus groups, Theory and practice 1990.] suggested conducting FGD studies on questions about general-to-specific issues, and also provided questions about relative to important issues. In this study, researchers asked questions about inter-ethnic group relationships and ethnocultural empathy. The discussion was focused on three ethnocultural empathy components namely intellectual empathy, empathic emotions, and communicative empathy. Special findings of the FGD were followed up by interviews. The interview questions focused on the informants' daily activities like what do you think about Javanese and Chinese relationships in Surakarta? How do you feel when you heard the suffering of other ethnic groups? Please tell us more about that? You said that you disagree if people are differentiated according to their ethnic groups, what do you mean by disagreeing? The semi-structured interview guide was used to find out more information about ethnocultural empathy of the Javanese and the Chinese. Based on the explanation above, data was collected using two techniques: Focus Group Discussions (FGD) and in-depth follow-up interviews to explore special issues arising from the initial focus group discussions. There were some reasons for using FGDs to collect data. First, FGDs provided opportunities for participants to explore their viewpoints and attitudes of individuals in groups directly through observation and discussion methods developed within the group [18Sim J. Collecting and analysing qualitative data: Issues raised by the focus group. J Adv Nurs 1998; 28(2): 345-52. [http://dx.doi.org/10.1046/j.1365-2648.1998.00692.x] [PMID: 9725 732] ]. Second, the FGD emphasized the interaction between observer and subject and interaction among participants. Such an interaction model encourages participants to discuss, ask and share their opinions with other participants, and to re-evaluate their understanding of the case that was previously presented by the observer [19Morgan DL. Focus groups as qualitative research:. Planning and research design for focus groups planning and research design for focus groups. 1997. [http://dx.doi.org/10.4135/9781412984287.n4] ]. FGD can also provide more complete data when compared with other methods because the observer not only directly observes the participants' behavior, but can also describe the psychological dynamics among individuals in a group [20Parker A, Tritter J. Focus group method and methodology: Current practice and recent debate. Int J Res Method Educ 2006; 29(1): 23-37. [http://dx.doi.org/10.1080/01406720500537304] ]. During the FGDs, researchers served as the moderator and facilitator. Sometimes, researchers invited participants to ask questions and let other participants respond to questions. Researchers were assisted by a co-researcher to fulfill all research needs. All discussions within the group were recorded, transcribed, and analyzed qualitatively [21Weinberger M, Ferguson JA, Westmoreland G, et al. Can raters consistently evaluate the content of focus groups? Soc Sci Med 1998; 46(7): 929-33. [http://dx.doi.org/10.1016/S0277-9536(97)10028-4] [PMID: 9541078] ]. Feeling the same emotion as what other people feel (emotion matching) is a common part of the empathy definition [22Batson CD, Ahmad NY. Using empathy to improve intergroup attitudes and relations. Soc Issues Policy Rev 2009; 3(1): 141-77. [http://dx.doi.org/10.1111/j.1751-2409.2009.01013.x] ]. Such an emotion matching is a stepping-stone to empathic concern [23Eisenberg N, Strayer J, Eds. Empathy and Its Development 1987.] and occurs in the form of emotional contagion [24Hatfield E, Cacioppo JT, Rapson RL. Emotional contagion: Studies in emotion and social interaction 1994.]. In other words, empathic concern is the beginning of emotion matching. Davis [25Davis MH. Empathy: A Social Psychological Approach 1994. ], and Galinsky and Ku [26Galinsky AD, Ku G. The effects of perspective-taking on prejudice: The moderating role of self-evaluation. Pers Soc Psychol Bull 2004; 30(5): 594-604. 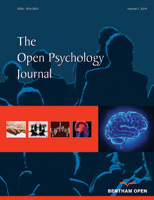 [http://dx.doi.org/10.1177/0146167203262802] [PMID: 15107159] ] suggested that imagining oneself in another person’s situation increased the salience of self-attributes leading one to see the other as more self-like. To the extent that one’s self-image is more positive than one’s image of the other group, and to the extent that one’s view of the other generalizes to the group as a whole, such an effect should produce a more positive view of the other group. The positive views can be produced in many ways, one of which is by listening to positive stories or positive information from close people. The personal case, which was referred to some Chinese participants, showed that positive information from parents about the other ethnic groups influenced their viewpoints about the Javanese as mentioned by an participant ”My parents told me that the Javanese people helped us when ”Gray May 1998” occurred, they kept us from the turbulence”. Batson and Ahmad [22Batson CD, Ahmad NY. Using empathy to improve intergroup attitudes and relations. Soc Issues Policy Rev 2009; 3(1): 141-77. [http://dx.doi.org/10.1111/j.1751-2409.2009.01013.x] ] mentioned that such positive information could reduce stereotyping and lead to more positive evaluation of (1) the outgroup member in whose situation one imagines oneself, and (2) the outgroup as a whole. Likewise, negative descriptions about the other ethnic groups would negatively affect the public perceptions. Some scholars presented evidence indicating that adopting an imagine-other perspective can increase the likelihood of making understanding rather than dispositional attributions for what the other person does [27Lamm C, Porges EC, Cacioppo JT, Decety J. Perspective taking is associated with specific facial responses during empathy for pain. Brain Res 2008; 1227: 153-61. [http://dx.doi.org/10.1016/j.brainres.2008.06.066] [PMID: 18619426] ]. In this study, the Javanese participants were aware that Chinese people got material and immaterial loss in some conflicts or incidents in Surakarta. Therefore, they could understand why Chinese people did not enjoy making friends with the Javanese. As stated by Javanese respondents, “I know, the Chinese people have incurred loss by Javanese people in some cases. When they do not enjoy making friends with Javanese, it is quite normal”; “I still make friend with them. I want to show them that all Javanese people are not like that”. Therefore, they would maintain relationships with Chinese people. For instance, they explained to their Chinese friends that their views of Javanese people were not completely right because all Javanese were not like it. Galinsky and Ku [26Galinsky AD, Ku G. The effects of perspective-taking on prejudice: The moderating role of self-evaluation. Pers Soc Psychol Bull 2004; 30(5): 594-604. [http://dx.doi.org/10.1177/0146167203262802] [PMID: 15107159] ] contended that perspective taking could be an effective social tool that not only reduced prejudice, but also increased the social awareness and strengthened interpersonal relationships. The perspective-taking reduced prejudice against others, affected the individual's self-description and produced consistent and adaptive behavior, thereby strengthening social ties between group members, and could also promote productive cooperation in the real sector. Positive experiences teach participants how to understand other people from different ethnic group backgrounds. The ability to understand other people will promote social bonds, as stated by the participant, “We have to appreciate and understand each other, because it will be conducive for relationships”. Wieselquist et al. [28Wieselquist J, Rusbult CE, Foster CA, Agnew CR. Commitment, pro-relationship behavior, and trust in close relationships. J Pers Soc Psychol 1999; 77(5): 942-66. [http://dx.doi.org/10.1037/0022-3514.77.5.942] [PMID: 10573874] ] suggested that it was a continuous model in which 1) dependence promoted responsibility, 2) the responsibility enhanced strong interpersonal relationships, 3) strong interpersonal relationships affected partner perception, 4) partner perception increased confidence and trust between couples, and 5) trust and confidence increased interdependence among couples so that both are synergistic under any circumstances. In other words, when people intensively interact with other people, they will have a close relationship. The close relationship refers to quantity and quality. The quantity means how many times they interact; and the quality means how close they become friends. Children, who have good interaction with other children from different backgrounds, will have positive trust in them. Subsequently, they will transfer their positive emotions to other people in their surroundings. There are traces of this issue in the following comment: “My Javanese’s friend often shares his problems with me; he is very kind. I think all people are equal, it depends on each individual”. In this case, we saw that participants, who have interactive experiences with different ethnic groups, have high levels of empathy. There is a lot of evidence that the individual empathy towards other individuals in need increases the preparedness to help not only the individuals, but also other people from the same group. This finding supports a research by Pettigrew and Tropp [29Pettigrew TF, Tropp LR. How does intergroup contact reduce prejudice? Meta-analytic tests of three mediators. Eur J Soc Psychol 2008; 38(6): 922-34. [http://dx.doi.org/10.1002/ejsp.504] ] who concluded that individuals, who made friends with people from other ethnic groups, had lower levels of prejudice than those who did not make such friends. Maner and Gailliot [30Maner JK, Gailliot MT. Altruism and egoism: Prosocial motivations for helping depend on relationship context. Eur J Soc Psychol 2007; 37(2): 347-58. [http://dx.doi.org/10.1002/ejsp.364] ] also found that close relationships with people of another ethnic group indicated a high level of empathy. Schlenker and Britt [31Schlenker BR, Britt TW. Strategically controlling information to help friends: Effects of empathy and friendship strength on beneficial impression management. J Exp Soc Psychol 2001; 37(5): 357-72. [http://dx.doi.org/10.1006/jesp.2000.1454] ] emphasized that people, who had high empathy, were more likely to respond to social pressures from friends. Findings in this case are consistent with Batson and Ahmad [22Batson CD, Ahmad NY. Using empathy to improve intergroup attitudes and relations. Soc Issues Policy Rev 2009; 3(1): 141-77. [http://dx.doi.org/10.1111/j.1751-2409.2009.01013.x] ] who found the more positive individual attitudes towards the group, which was stigmatized, could provide many benefits to individuals including a harmonious relationship, build cooperation among group members, lead to understanding, and reduce the potential for conflict. Empathy feeling towards a member of a stigmatized group could improve positive attitudes and behaviour of an empathizer towards a member of stigmatized group. This also proved Batson’s [32Batson CD. The altruism question: Toward a social psychological answer 1991.] empathy-altruism hypothesis that empathy feelings for a member in need increased readiness to help not only that certain person, but also the group as a whole. Being as a dominant group, Javanese’s culture or customs have an influence on other groups. For instance, all the other ethnic groups, including the Chinese, use the Javanese language in daily activities. Even the Chinese people state that most of them cannot speak the Chinese; they speak Javanese and Bahasa Indonesia (Indonesian language). Doane [33Doane AW. Dominant group ethnic identity in the united states: The role of “hidden” ethnicity in intergroup relations. Sociol Q 1997; 38(3): 375-97. [http://dx.doi.org/10.1111/j.1533-8525.1997.tb00483.x] ] convinced that dominant ethnic groups played important roles in society particularly when majority groups maintained their position at the top of hierarchy. In the era of democracy, the majority contested by political groups to achieve the rigidity. Participants gave positive responses to the question; for instance: “Perhaps they had negative experiences with other ethnic groups in the past, while I have a positive impression of other ethnic groups”; “Classifying ethnic groups based on types of individuals is not good because it can evoke an enmity. The individual characters are different. It depends on the individuals”; it depends on the individual; all Javanese are not polite, and all Chinese are not stingy”. Based on participant responses, positive impressions based on participant subjective experiences lead to the awareness of other people. Even not only the other person per se, but also lead to the awareness of the group as a whole. When a Javanese has a positive impression on a Chinese, it will lead to a positive understanding of the Chinese. As stated by Batson et al. [34Batson CD, Polycarpou MP, Harmon-Jones E, et al. Empathy and attitudes: Can feeling for a member of a stigmatized group improve feelings toward the group? J Pers Soc Psychol 1997; 72(1): 105-18. [http://dx.doi.org/10.1037/0022-3514.72.1.105] [PMID: 9008376] ], the positive attitude for a member of a group can improve positive attitudes towards the group as a whole. These findings also confirmed Bockler et al. [35Bockler A, Hermann L, Trautwein FM, Holmes T, Singer T. Know thy Selves: Learning to understand oneself increases the ability to understand others. J Cogn Enhanc 2017; 1(2): 197-209. [http://dx.doi.org/10.1007/s41465-017-0023-6] ] who found that to understand people from other groups, individuals have to first understand themselves by recognizing parts of their personality and patterns of attitudes and behavior, and it would then help to improve individual relationships with others. Based on Bockler et al. 's [35Bockler A, Hermann L, Trautwein FM, Holmes T, Singer T. Know thy Selves: Learning to understand oneself increases the ability to understand others. J Cogn Enhanc 2017; 1(2): 197-209. [http://dx.doi.org/10.1007/s41465-017-0023-6] ] findings participants, who were capable of identifying various parts of their personalities, had the highest ability to establish empathy. Therefore, empathic awareness is based on the self-awareness. If people want to understand others, they first have to learn how to understand themselves. Understanding yourself will help people understand and accept their conditions. Understanding and accepting one's condition is very important for a healthy life and is the basis of an empathic awareness.